True Eco Dry LLC is proud to provide carpet cleaning in River Forest Illinois. You deserve a clean carpet. Your family deserves a healthy carpet and great air quality. Over time, minute pieces of dirt, hair, dead skin, dust and mites become embedded in carpet. There are many ways to clean your River Forest carpet, but True Eco Dry LLC utilizes the most effective processes and products to get the job done right. When it comes to fast, thorough carpet cleaning in River Forest IL, no one beats True Eco Dry LLC's carpet cleaning service. Our cleaners have been cleaning carpets in and around River Forest since 2011. 5★★★★★ - "I am so happy to have clean carpet on my stairs! Justin did an amazing job! The stains and dirt on the carpet bothered me every time I walked up my stairs. Having young kids and a dog does not help. Justin also cleaned the upholstered seats on my dining chairs and did an excellent job. I will not wait so long to have this done. It was quick, easy, professional and very reasonably priced. I highly recommend this company." 5★★★★★ - "Justin was professional and quick!! Firstly, he was available at a day's notice. Once he brought in his equipment, I watched him carefully add the preparation spray and vacuum thoroughly. There was a large menacing spot that he even got out!! Very pleased!" 5★★★★★ - "Justin is incredible. We have had him come three times now. Always professional and does a great job. Very reasonable pricing too." 5★★★★★ - "Carpet looks almost new again even after 10 years, very happy with the results." 5★★★★★ - "He was very good and friendly, he did an amazing job. I am very pleased"
5★★★★★ - "Justin did an exceptional job! 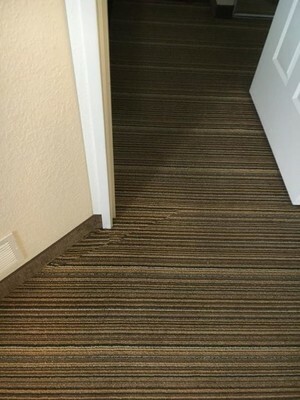 Our carpets look great!!" 5★★★★★ - "He was done in blink of an eye. I don't think that I ever had the rug cleaning that thorough and fast." 5★★★★★ - "Great Quality, Customer Service, Thoroughness, and Timeliness. Excellent Job!" 5★★★★★ - "“First I want to thank u for your services today.....u also sent a very nice person to service me today I appreciate that....the timing was perfect & quick ...I'll spread the word cause I'm very pleased with how clean my furniture looks & the smell is awesome!!! Thanks again for your time charisse morton....”"
5★★★★★ - "“These folks were on time, friendly and professional and they did a great job. I called Saturday morning and they came that day. I highly recommend them.”"
5★★★★★ - "Justin was perfect!!!!! Thank you!!! !”"
5★★★★★ - "Very polite and professional”"
5★★★★★ - "“Fantastic experience. Jason was great! We will definitely use you guys again.”"
5★★★★★ - "“Our guy was very thorough, professional & friendly. I appreciated how much he knew about his products & other related info.”"
5★★★★★ - "“Not only did it smell much better but they were able to remove a very high traffic area in my living room. I will definitely call them again”"
5★★★★★ - "“The Technican, Jason was very good. He was extremely courteous and helpful. A real asset for your company”"
5★★★★★ - "Justin was wonderful from the moment he came in my home until he left. He did a spectacular job on my carpets and respected my home. He reviewed his work and saw wheel marks on my stairs from his machine and actually redid that entire area. I am very pleased with his work! Thank you!" 5★★★★★ - "The technician was prompt, professional and did a great job! A great experience!" 5★★★★★ - "“Very knowledgeable and nice.”"
5★★★★★ - "“Considering the age of my carpet and amount of wear and tear, Justin did a good job. The carpet smelled fresh and clean. I was very impressed with his respectfulness, promptness, and attention to details. Will call again for service." 5★★★★★ - "“Too many phone calls confirming appointment. Justin however was great.”"
5★★★★★ - "Very polite and professional technician"
5★★★★★ - "“Very quick and efficient! And great attitude! Will definitely use again!”"
5★★★★★ - "Super job! Thanks!" 5★★★★★ - "“He did a great job and was very helpful and polite”"
5★★★★★ - "“Justin did a great job and was professional and very polite”"
5★★★★★ - "“Justin was excellent and did a very thorough job on my carpets. Thanks"
5★★★★★ - "So easy, our area rug was picked up and delivered back within days! It looks beautiful !!! Excellent service and quality cleaning"
5★★★★★ - "Justin was great! Explained the process completely. Can't wait to see my clean rugs." 5★★★★★ - "Justin arrived on time was friendly, courteous and thorough! Will recommend to my townhouse association! Job well done!" 5★★★★★ - "Justin was kind, considerate and very efficient. I'm sorry that he had to put up with a barking dog the whole time, but it didn't deter him in anyway. I look forward to having this company come out to my home again." 5★★★★★ - "Thanks so much! I'm really grateful :)"
5 ★★★★★ - "Thanks Justin for taking care and time with my furniture." 5★★★★★ - "Great work and personality!" 5★★★★★ - "Technician was very friendly, on time and helpful in his explanations. " 5★★★★★ - "Justin did a great job! He arrived right on time, got right to work and finished in a timely manner. Very professional! I'm recommending the company to everyone I know!! " 5★★★★★ - "“Justin was amazing! Punctual, nice, great job. So impressed and will definitely use your company again!”"
5★★★★★ - "“Justin was professional, competent and helpful. Give him a raise.”"
5★★★★★ - "“The tech was fast and friendly.”"
5★★★★★ - "“Helped us save a lot of money by repairing a large hole in our carpet rather than buying an entire room of carpet.”"
5★★★★★ - "“This is our second time having True Eco Dry out for upholstery cleaning. Excellent results and Customer service both times. Very easy to set up appointment.”"
5★★★★★ - "“Great service. Will use again.”"
5★★★★★ - "Ability to get the job done quickly." 5★★★★★ - "Technician was right on time; I'd received a confirmation call the night before and they did a great job. I will definitely use True Eco again!”"
5★★★★★ - "Justin arrived on time. He was polite and he did a quality job. Will definitely hire him again." 5★★★★★ - "“Very satisfied with the customer service and quality of work completed. They were able to remove stains others could not. I will definitely be a returning customer.”"
5★★★★★ - "Justin came to my home to clean my very utilized Microfiber sectional. He was detailed in his inspection, explained the solutions he was using and confirmed charges. No surprises or hassle at all! He did a wonderful job on my sofa... it looks new... again ans smells great! Very quick but detailed and didn't miss a spot. I would totally recommend him and use them again." 5★★★★★ - "I tried to clean a pet stain on my wool carpet with Resolve carpet cleaner. It left a large bleached out area. Justin dyed the carpet for me and it looks amazing! I highly recommend this company!"